Transition from Digital Marketer to Digital Expert with a custom, professional online brand identity created for you by DEA. 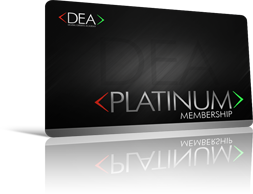 Transition from a Digital Marketer to Digital Expert with the PLATINUM Membership. Learn how to identify your unique gifts and abilities, and with the help of DEA create your own expert online brand and identity. Once positioned in the marketplace as a Digital Expert, your authority, credibility, and influence increases dramatically. This in turn increases your earning potential. No Results Are Guaranteed. Individual Results Will Vary…The Training, products and business systems we provide are for educational purposes. The Testimonials here are real, however just because others have achieved a certain result, should not be taken or even implied that you will have the same result. There will some people who do make money, and others who do not. Individual results will vary greatly, but will be determined by effort, determination, hard work, and the ability to follow directions.